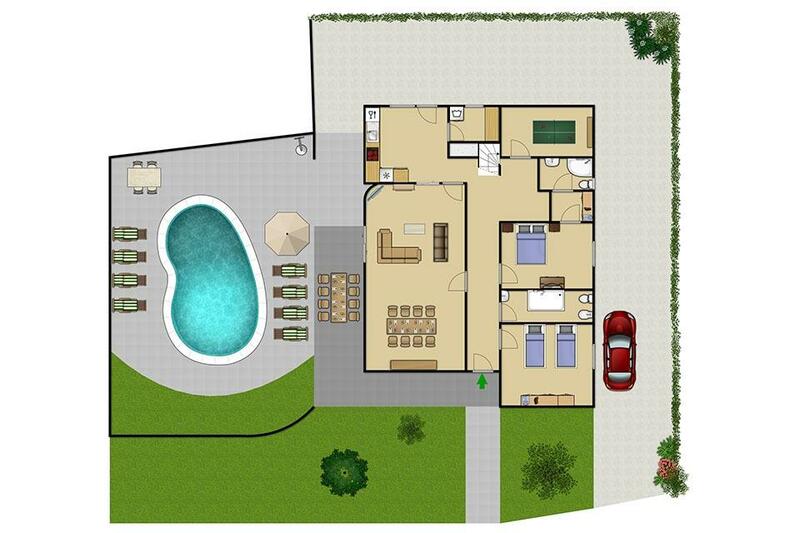 This spacious four-bedroom villa is perfect for families and friends looking for a large swimming pool and relaxed outdoor living. This spacious four-bedroom villa is perfect for families and friends looking for a large swimming pool and relaxed outdoor living. 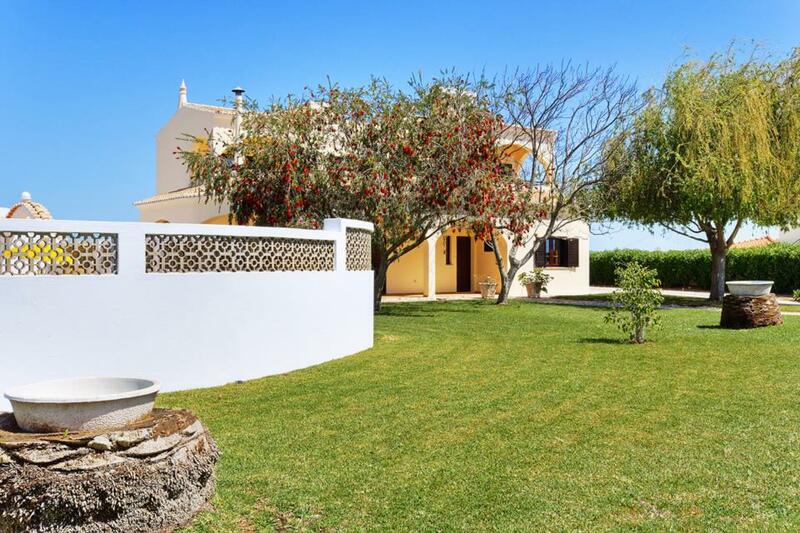 Villa Jasmin is close to the peaceful village of Olhos de Agua, where local fishermen pull their boats into shore and tend their nets at cute, little beach huts. The highlight of this property is the large, private swimming pool, flanked by bright yellow sun loungers aplenty. With an expansive, tree lined garden, Villa Jasmin affords a lot of privacy and space in which to relax. 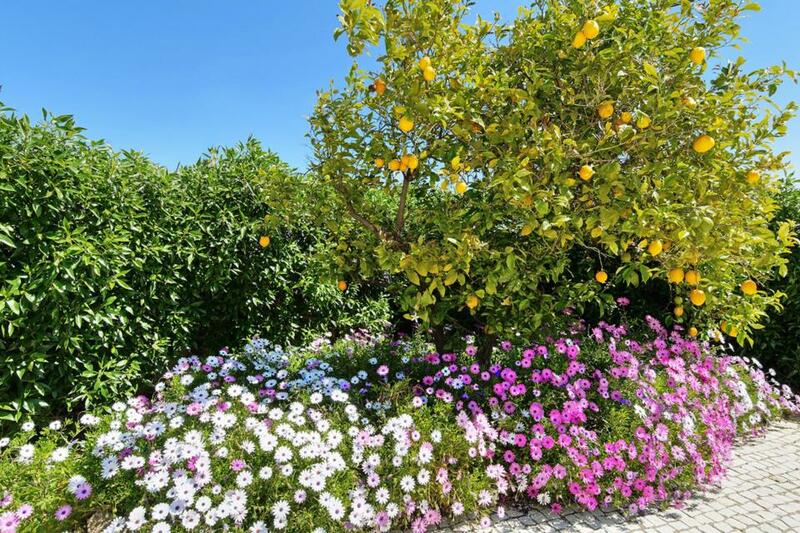 Imagine the smell of the lemon tree and local blooms wafting over the pool. 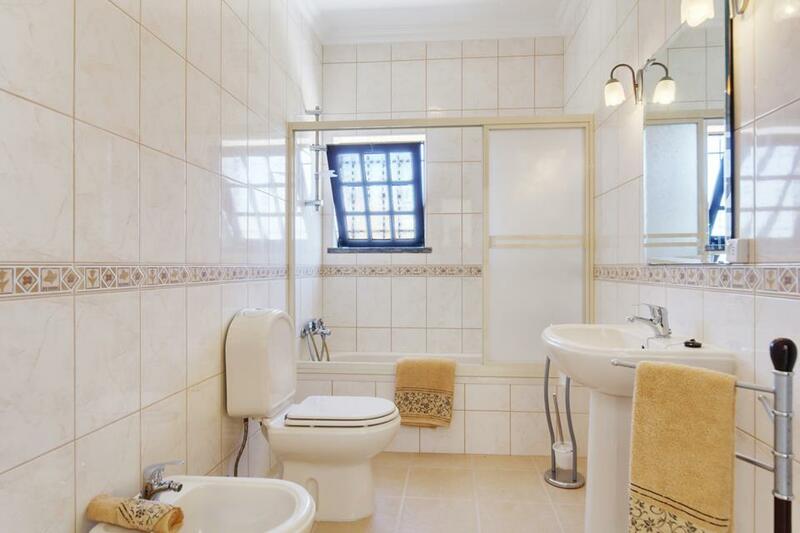 Decorated in traditional Portuguese style, Villa Jasmin has a welcoming aura. 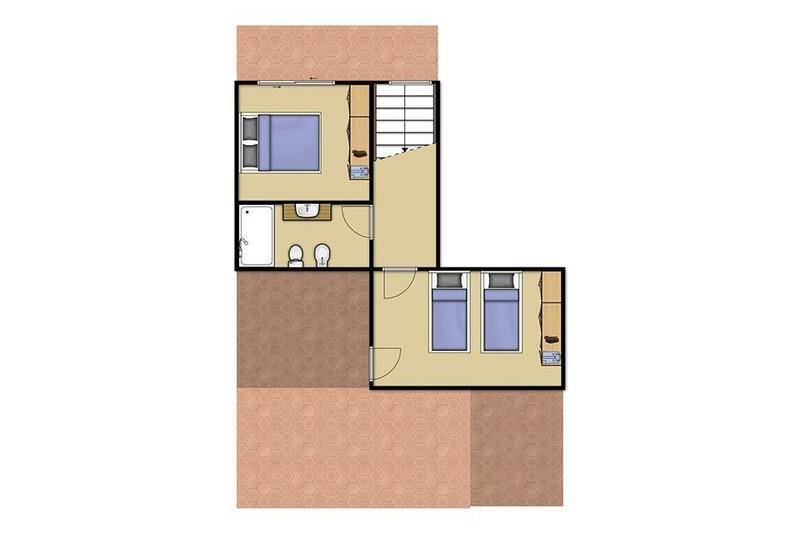 Four large bedrooms, including two with twin beds, make it perfect for families and friends. A large patio on the upper level affords panoramic views over the picturesque neighbourhood. Olhos de Agua is only a five-minute drive from Villa Jasmin and is home to a stunning stretch of golden beach. Great for a stroll, Falesia beach stretches all the way to the neighbouring resort of Vilamoura. With popular resorts Albufeira and Vilamoura only fifteen minutes from Olhos de Agua, it’s the best spot to enjoy some peace and still be within easy reach of some fun at night. 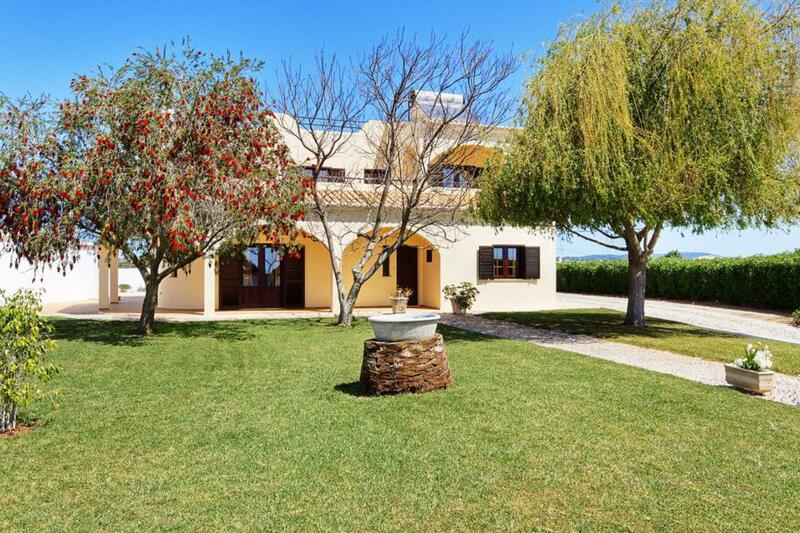 Villa Jasmine is a nice 4 bedroom villa and only a 10 minute drive to Albufeira. The pool is a good size and plenty of room for the sun loungers and is enclosed for people with young kids. There are 4 area in side and out with tables and chairs to relax and eat. 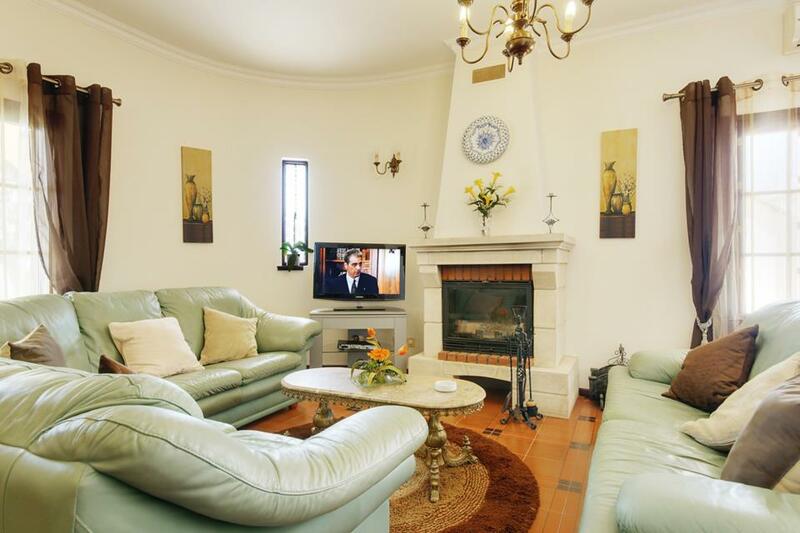 Villa Jasmin was ideal, very pretty and spotless which is very important to me. The pool was wonderful. I would recommend this villa wholeheartedly. We fall in love the moment we saw vila Jasmin! It was a pleasure for us to stay there for a week. 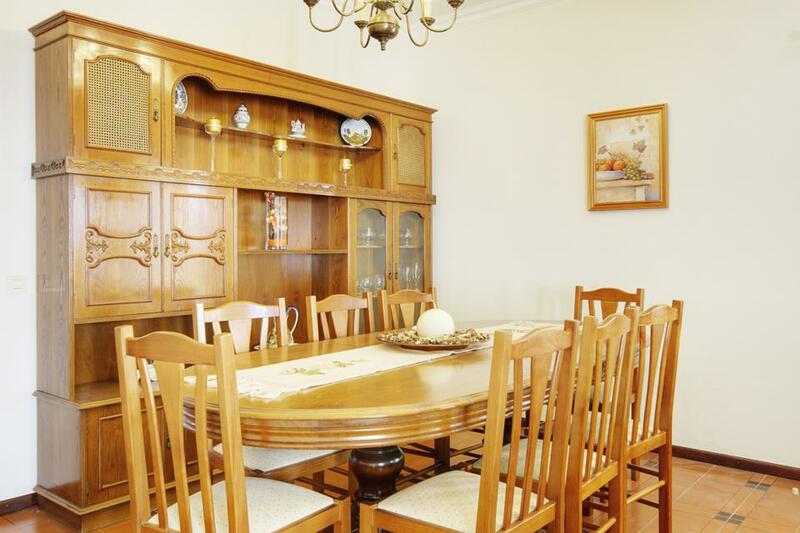 The vila was clean, tidy and perfect for 8 people. Everything was perfect! 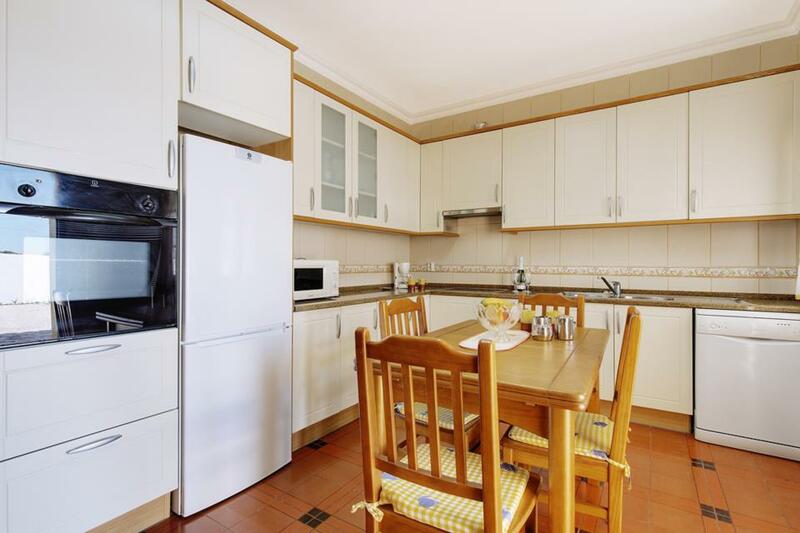 There is everything you need for your stay - washing machine, dishwasher, beach towels and everything to cook your fav meal. The pool is great too. 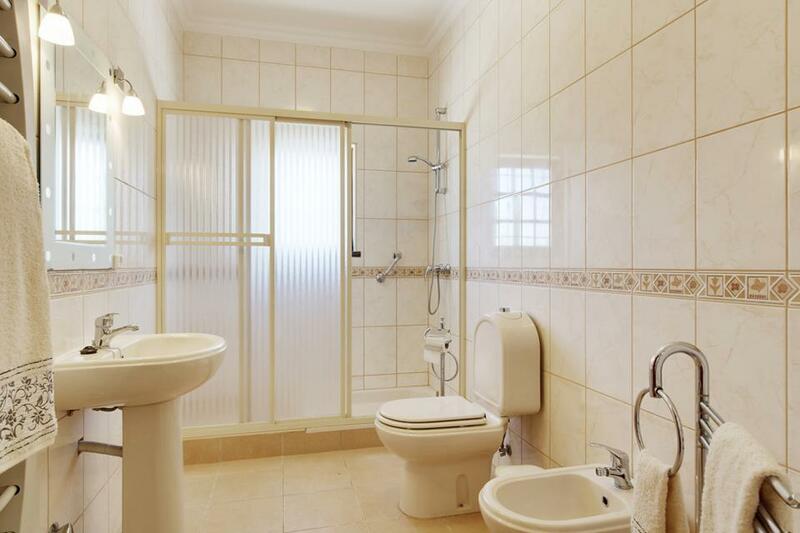 Spacious, very well equipped with private grounds and pool area. The villa sits in its own grounds and is not overlooked. It is on a fairly busy road so there is some traffic noise, but nothing to cause problems. The nearest beach at Olhas de Agua is charming with several good eating places close by. The Intermarche; supermarket along the Main Street has everything needed and the local market has amazing fish/meat and vegetables. 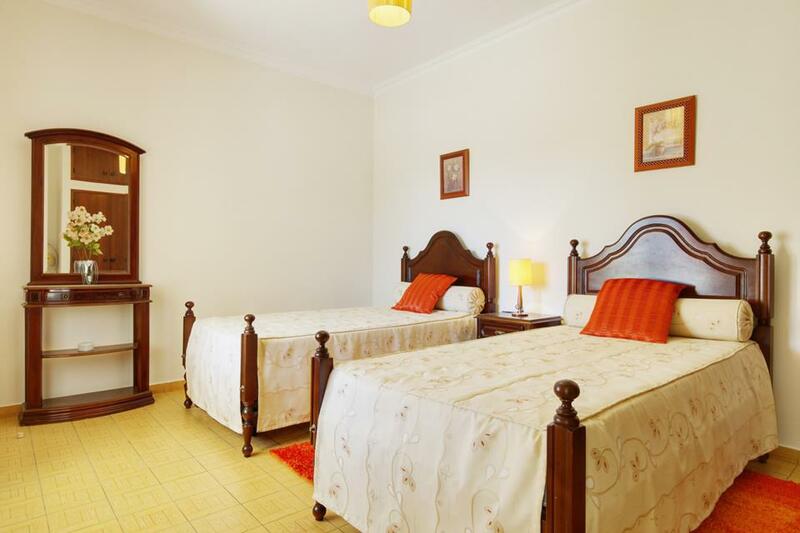 The villa is well equipped and the fact the pool is gated is a plus for families with small children. The villa sits in its own grounds and is not overlooked. The nearest beach at Olhas de Agua is charming with several good eating places close by. The Intermarché supermarket along the Main Street has everything needed and the local market has amazing fish/meat and vegetables. 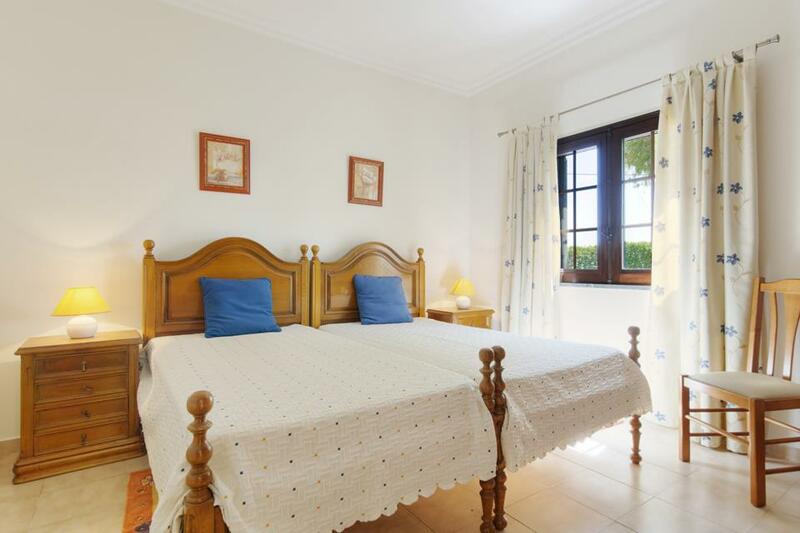 The villa is well equipped and the fact the pool is gated is a plus for families with small children. 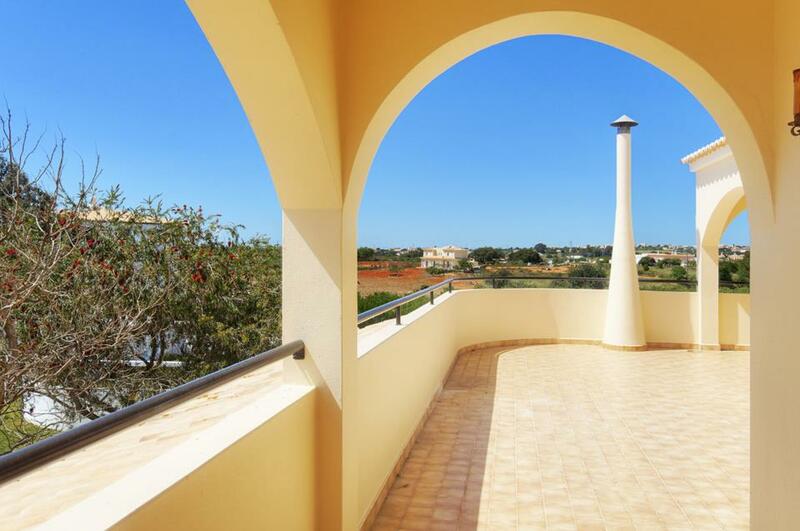 **Save up to 25% by arriving and departing on the standard changeover day**Villa Anaiz boasts a fantastic location, only several hundred metres from all amenities including the famous golden sands of the Algarve. 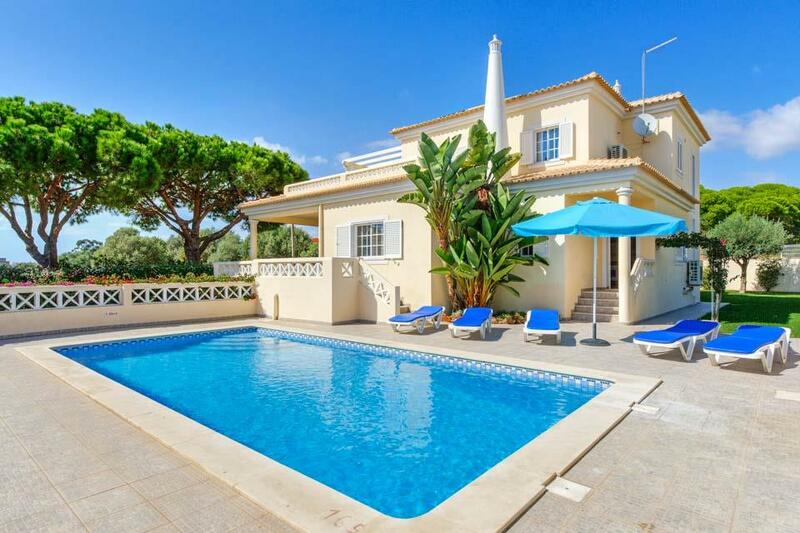 For those who like to hit the fairways,..
**Save up to 25% by arriving and departing on the standard changeover day**Villa Luana is a detached four bedroom villa with roman shaped swimming pool for your enjoyment, situated in a sizeable plot within the popular resort of Olhos D'Agua. If you can..